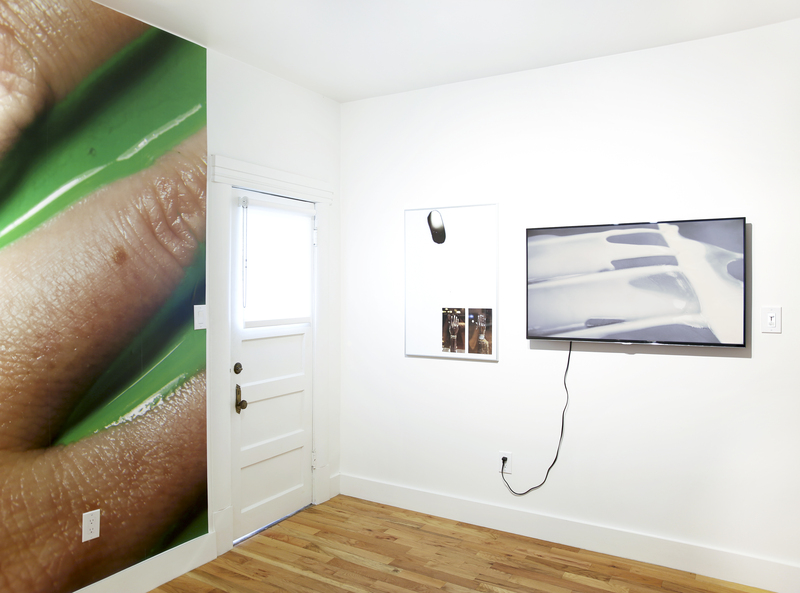 Installation view, Laura Schawelka, Useless Twin, Garden, 2016. 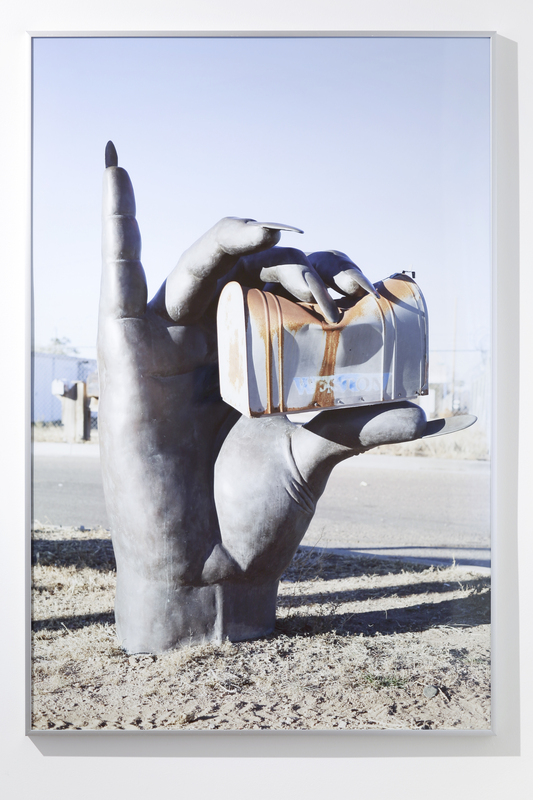 Laura Schawelka, Untitled (Hands) 2, 2016, archival inkjet prints, 24 x 36 inches. Laura Schawelka, Untitled (Car Pour Version 1), 2016. HD video. 11:22 min. 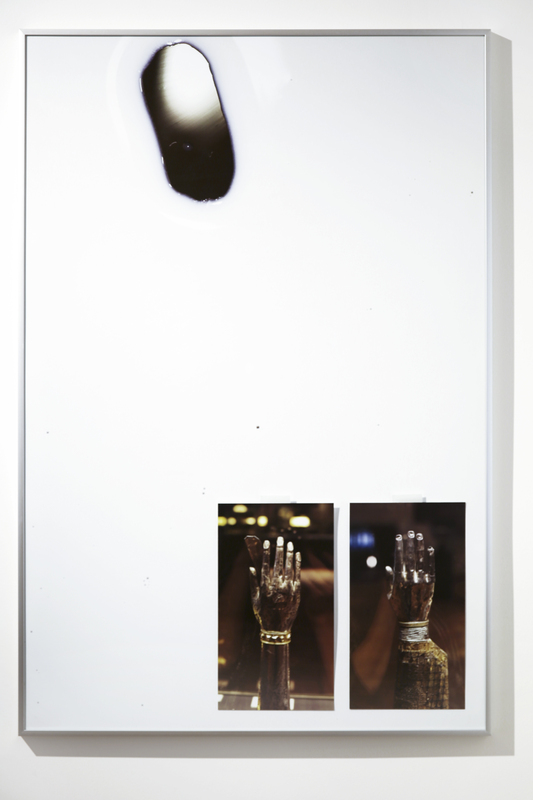 Laura Schawelka, Untitled (Hands) 3, 2016, archival inkjet prints, 24 x 36 inches. Laura Schawelka, Untitled (Santa Fe), 2016, archival inkjet print, 24 x 36 inches. The work of Laura Schawelka speaks to photography as an impartial medium: ultimately the camera does not care what is important and what is not. Under its undiscriminating gaze, overlooked secondary objects are recorded with the same detail and importance as the objects or subjects considered worthy of being photographed. 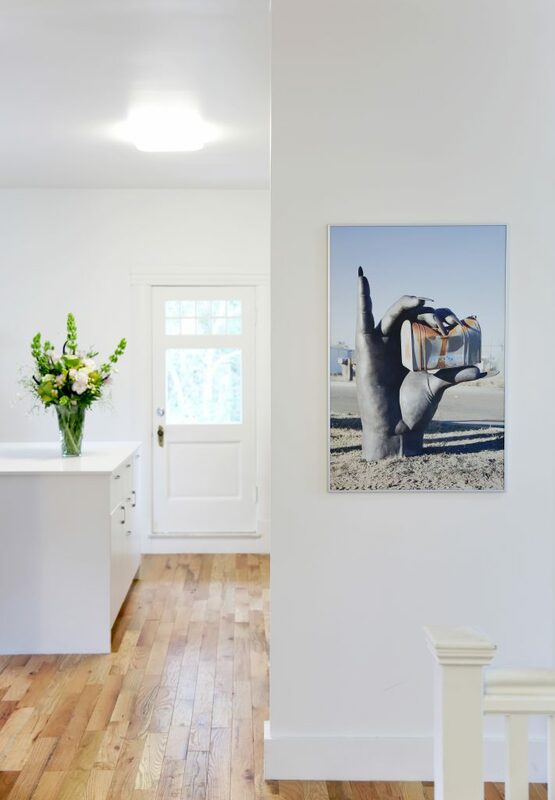 In Schawelka’s photographs and video, objects that denote bodies and their functions are elevated to subjects. Useless Twin revels in photography’s dualities, its unique ability to simultaneously reveal and obscure, glorify and equalize, narrate and document. 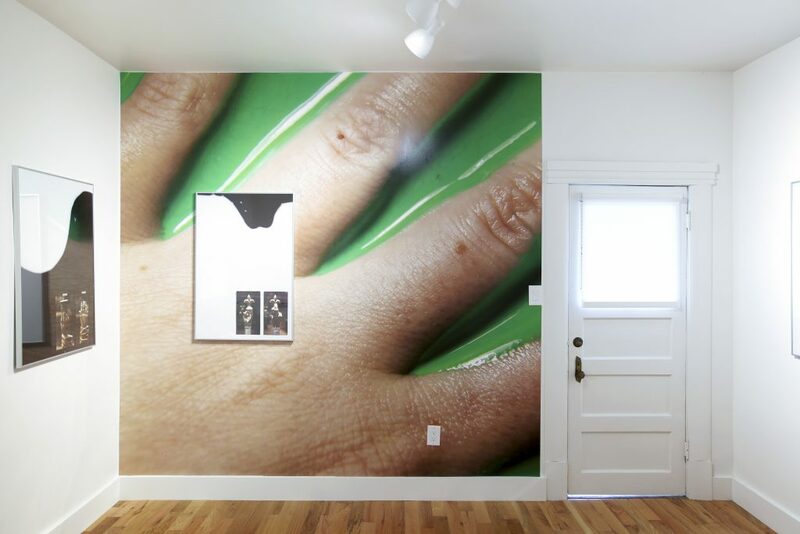 In the exhibition, a blown-up still of Schawelka’s hand partially submerged in green screen colored liquid wallpapers the room, its larger-than-life scale dwarfing the viewer. 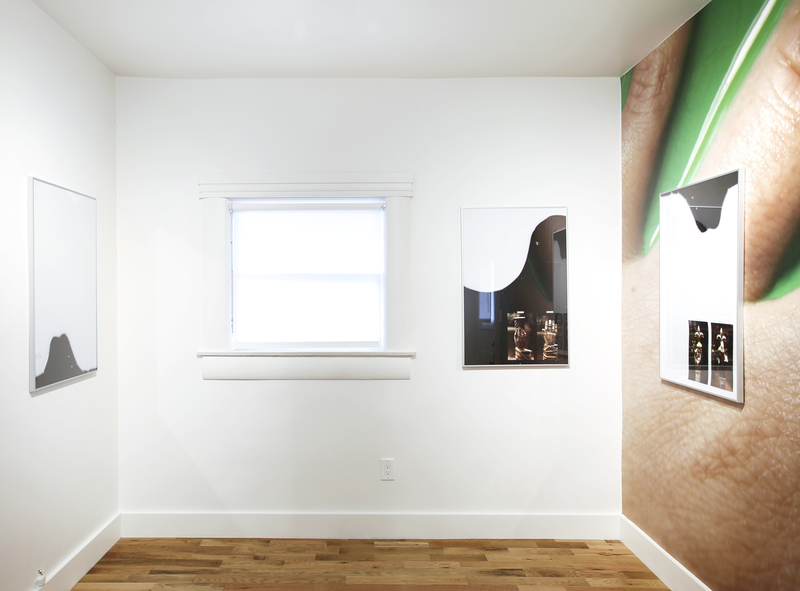 Overlapping the wallpaper are four Ikea-framed collages, each with an enlarged base image of a bodybuilding liquid protein supplement (Muscle Milk) poured over black glass. 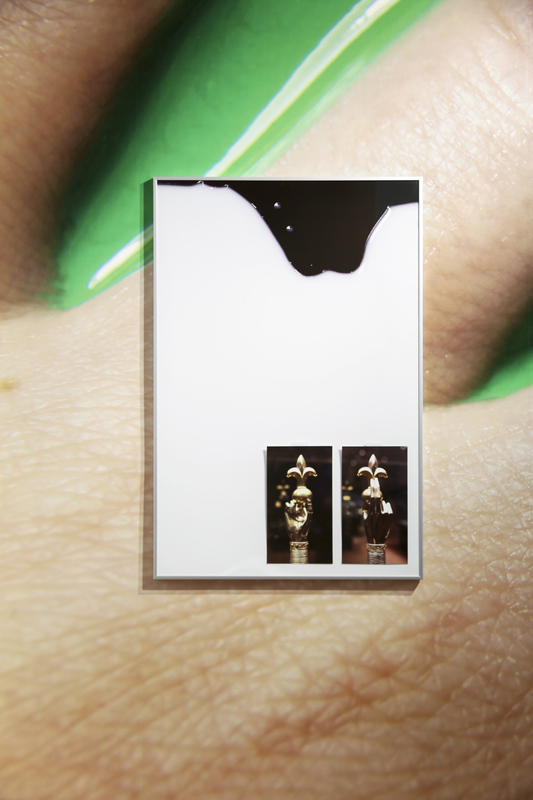 These images are then layered with smaller images of sculptural representations of hands. 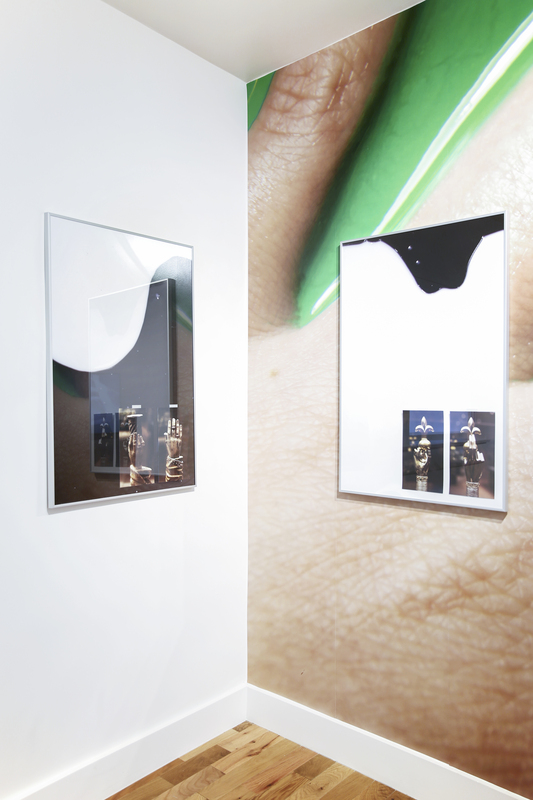 Within the images, the artist’s fragmented body and camera can be seen reflected in glass while photographing. 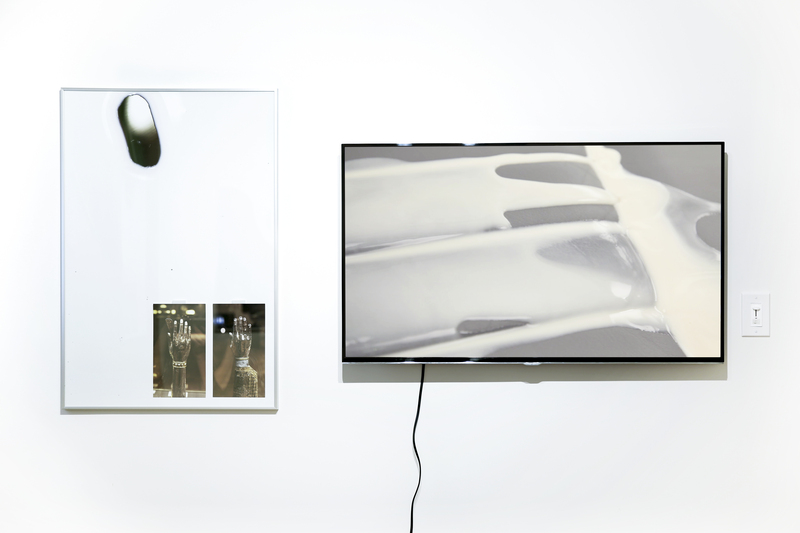 On another wall, a video of Muscle Milk flowing over an imitation-leather car seat loops continuously. As the green liquid from the wallpaper (this time digitally keyed-out) replaces the beige milk, a still image of a car dealership Airdancer embracing a headless suited male mannequin materializes and disappears in the ooze. Many of the images included in the collage are photographs of arm reliquaries within the Guelph Treasure, a German collection of precious medieval objects that were dispersed in the 1930’s and are now embroiled in a Nazi restitution case. The reliquaries contain actual human remains believed to be sacred, encased in gold, silver, and wooden sculptures of archetypal and idealized hands. Today, housed in museum vitrines, their original function as religious objects is lost. Instead, they operate as institutional fetishes – where they once existed to prove the real existence of a saint or sacred person, they now trace and index the history of that practice. 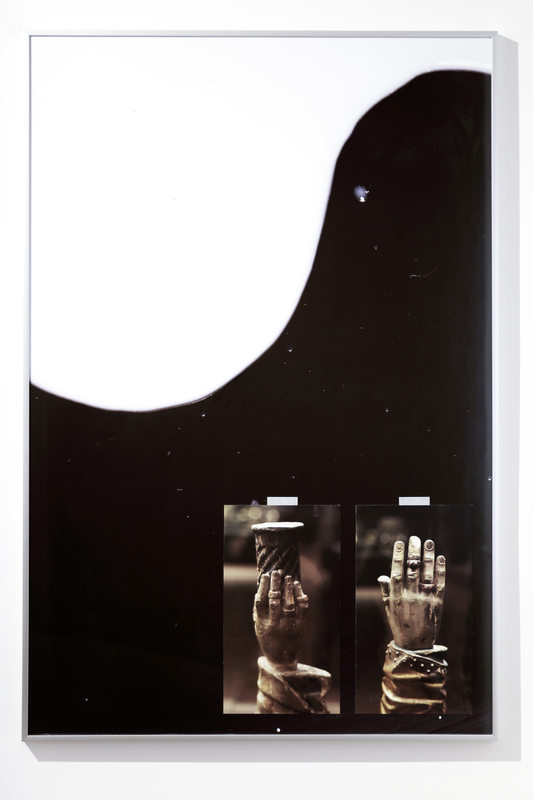 In the photographs, Schawelka’s hands and camera are reflected again in the glass of the vitrine or the relics themselves, documenting the document. Like the museum glass separating the ancient reliquaries from their observers, here photography functions as a temporal membrane separating past and present like a skin. Fetishes are fetishized – man-made objects portraying bodies, once valued by religious and later state institutions, are privileged anew by the light-capturing touch of photography. In Useless Twin, the depicted object is abstracted and disassociated from the object of depiction. 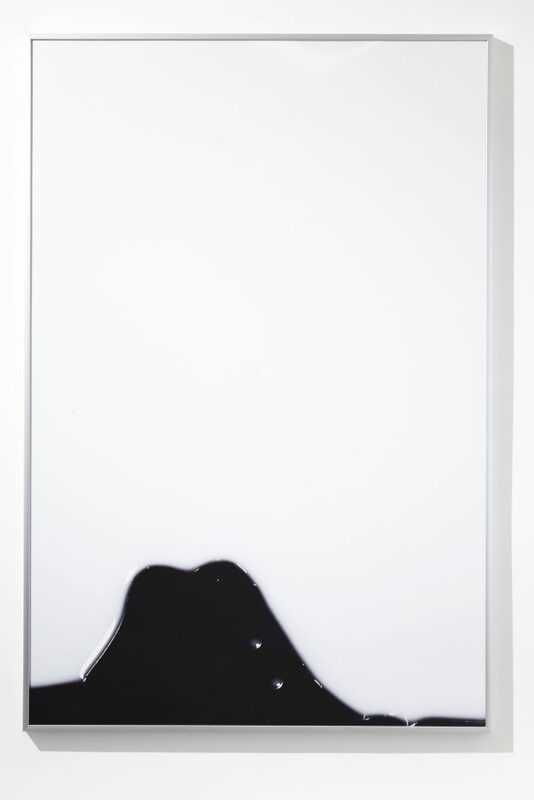 Bodies become objects, objects become subjects, and nothing escapes Schawelka’s dense web of interconnected and layered images.